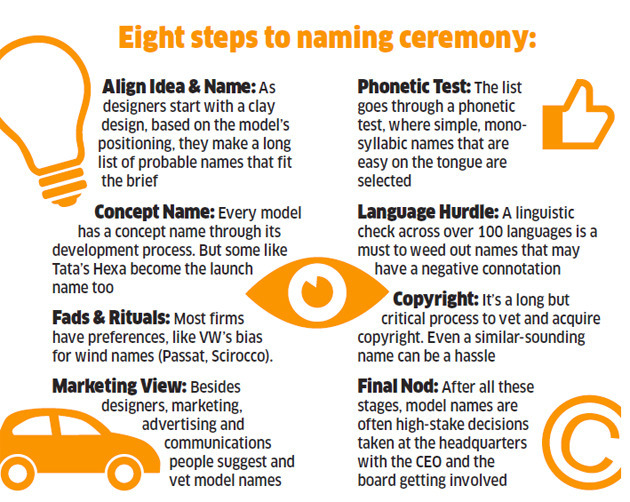 How Do Car Manufacturing Companies Name Their New Cars? If you ask someone about his favorite car he will immediately tell you the name of his dream car without thinking twice for that. The reason is quite simple because he is well aware about the performance of that car and therefore despite of feeling difficulty sometimes in even spelling out its name a person quickly response to your question. Anyhow have you ever thought that how do the car manufacturing companies decide the name of their upcoming car, is there any logic behind, a myth, a science, an art or some sort of superstitious belief etc behind that. If you remember last year Indian car maker Tata Motors had to face huge problem while naming its best selling hatchback Tiago before its launching. As the company was ready to launch the hatchback name as “ZICA” the emergence of “ZIKA” virus threatened not only the whole world but also tried to derail the Rio Olympics. Going through the worst impacts of the virus the car maker had suspend the name but also had to organize a campaign asking the car enthusiast to suggest the suitable name for the hatchback. 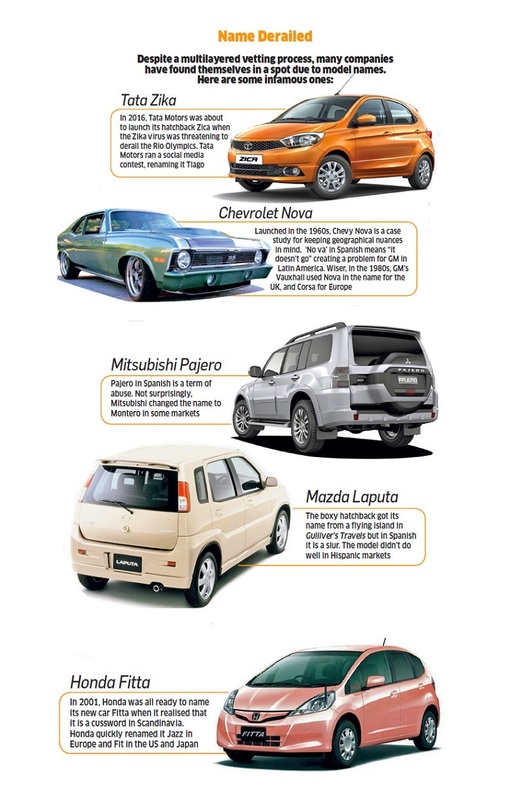 As far as any record regarding the strategy of determining the names of upcoming car is concerned is not available, the only logic behind deciding the name is conveying the feeling of attachment with the vehicle, for instance names like Swift chosen by Indo-Japanese car maker Maruti-Suzuki or Jazz named by another Japanese car maker Honda. On the other side there are some companies like Toyota that use the name like Camry which despite of being sounding good doesn’t have any particular meaning. While there are some companies Jeep that is consulting the use of old names like Cherokee. Interestingly on the other side there are some companies that make use of alphanumeric names, which till now were used by luxury car makers. Like in India the domestic car maker Mahindra and Mahindra is adopting the strategy of naming it recently launched vehicles as KUV100, TUV300, XUV 500. Commenting about these names Mr. Veejay Ram Nakra, Chief Sales and Marketing Automotive Division M&M said, “There is a certain amount of premium-ness to alphanumeric brand names,”. Apart from following the trend there are some car makers that prefer to name their vehicles on some historical incidents and some on their personal belief. For instance German car maker Volkswagen prefer to name its car based on wind synonyms like Passat, Jetta etc, whereas Lamborghini prefer to name its car with bull name. On the other side US car maker Ford prefers to name its cars with starting name as “F” like Fiesta, Fusion or Focus. In simple words it can be said that the names of vehicles are determined after intensive research and analyzing their efficiency of grabbing the attention of the car lovers at first instance as soon as that listen its name and feel attached to it.